The word “drama” is used a lot in daily speech. Someone will say they don’t want to deal with the drama or that someone is “being dramatic”. In the context of drama as a genre, it has to do with realistic characters who go through emotional change, turmoil, or growth. This happens in relation to other characters within the narrative. Drama is about human struggle and triumph. That does not mean you can’t mix drama with other genres. Sometimes the drama has a fantasy, sci-fi, or historical setting. What matters is that the main thrust of the story centers on dramatic themes. These anime are a good mix of subgenre, but all come across as being dramatic first and foremost. So – get out the Kleenex. You’re going to need it. Your Lie in April tells the story of a young piano prodigy who has a harsh early childhood as various adults, including his parents, push him far too hard to perform. This culminates in a mental breakdown at the young age of 11, in public. The boy, Kosei Arima, can no longer hear his own piano music, nor can he see color. There’s nothing wrong with him. The condition is psychosomatic, but he’s pretty much resigned himself to it. Of course it takes a girl to bring some life back into his existence – a young violinist named Kaori Miyazano. As you’d expect, Kosei starts to fall for Kaori, but she has eyes for another. Kaori is also rather frail, it seems, but her cheery exterior never falters and she never lets on there’s a problem with her health. She’s bringing Kosei out of his shell, but there’s a lie he’s been told by her that might shatter his world all over again. Your Lie in April is masterfully told and weaves together several themes and internal character worlds. If you like a good personal drama with a romantic element to it, Your Lie in April is a great choice. Putting Clannad on this list feels a little like a cop out. You’re going to find it on just about every anime drama list, but there’s a good reason for that. Personally, I don’t like the character design style they went for in this show, but when it comes to the narrative, this is a great example of anime drama. 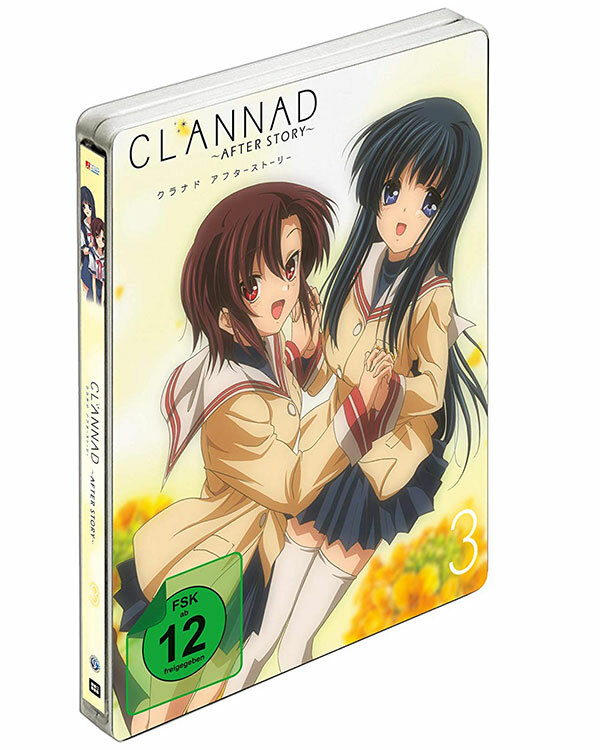 One thing you should know about Clannad is that it’s based on a visual novel of the same name. Visual novels are a rather unique Japanese computer-based fiction format. Often the protagonist has to woo people or solve a murder. This is important, since it sort of explains the mildly contrived setup in this story. The main character is a slacker schoolboy named Tomoya. He skips school all the time and really doesn’t care where his life is going. One day he meets a rather strange girl who has a weird way of motivating herself. She’s been held back a year thanks to an illness, but is very much into reviving the drama club. One thing leads to another and Tomoya ends up helping out the girls of the club, each with their own rather dramatic troubles. 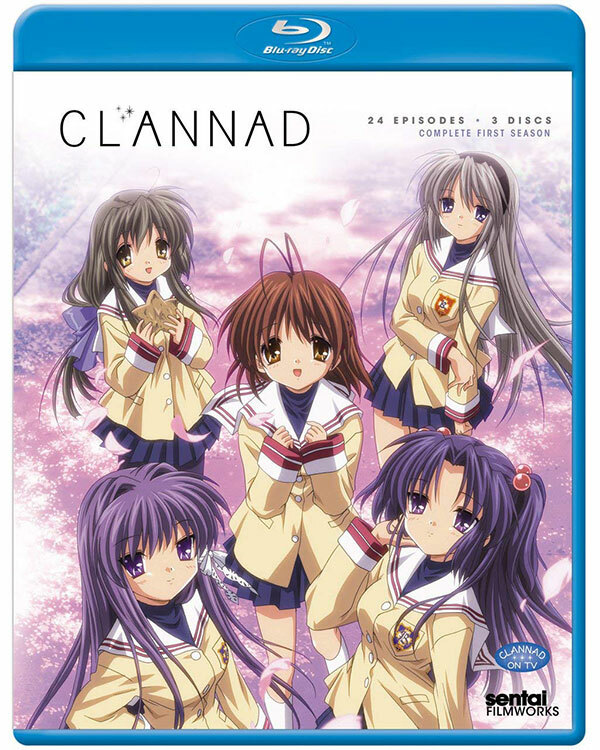 Clannad does something that few anime ever attempt – presents an extended epilogue. In fact, this epilogue is so extended that it’s actually a full sequel. Our two main characters have graduated from high school and must now face the realities of adult life – the ups, downs, and occasional suffering we all have to go through after being kicked out of the nest. This gets to be a separate entry on the list because it’s not a second season. You could watch After Story by itself, as all good sequels can be. I don’t recommend it, though – it works better as a full package. A surprising number of anime start with the death of the main protagonist. These are usually “isekai”, or other world shows. In that sense Angel Beats sticks close to the trope, but this is no “Mary Sue” power trip with caricatures. Our “hero” awakens knowing only his own name and nothing else about himself. Amnesia is an awful trope in many cases, but Angel Beats plays it deftly. The place he finds himself is the afterlife. Instead of a heaven or hell, it turns out the afterlife is in full-scale war. The side he wakes up on is fighting against a girl named “Tenshi”, which is the Japanese word for “angel”. The people around him say Tenshi is evil, but something keeps pulling him towards her. Perhaps there’s something in his forgotten past that explains this strange feeling? The stakes are no less than the truth of existence and the afterlife itself. Pretty heavy themes for an isekai show, right? 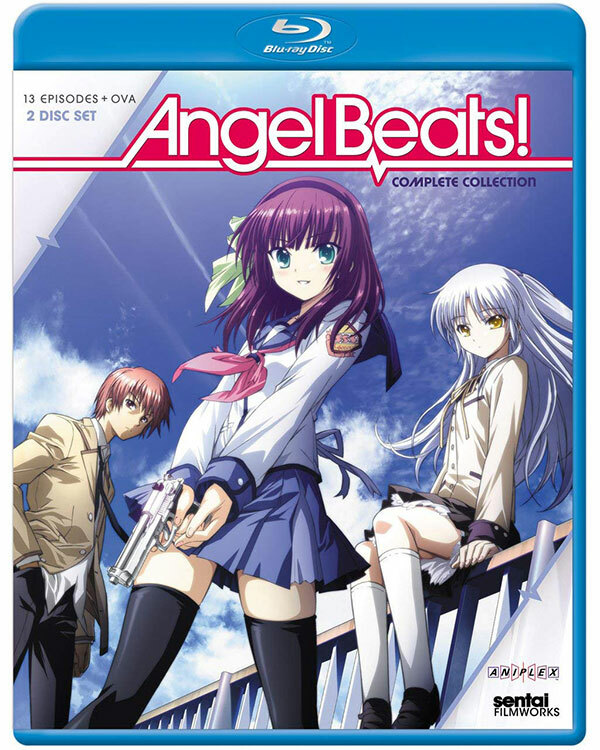 Nonetheless, Angel Beats is a show those with a taste for heavier drama should definitely give a chance. Full disclosure: I freaking LOVE this show, so there’s no way I have anything close to an unbiased view on it. You should also know that this show is ridiculously violent. We’re stepping into Gantz territory here, if I have to be honest. 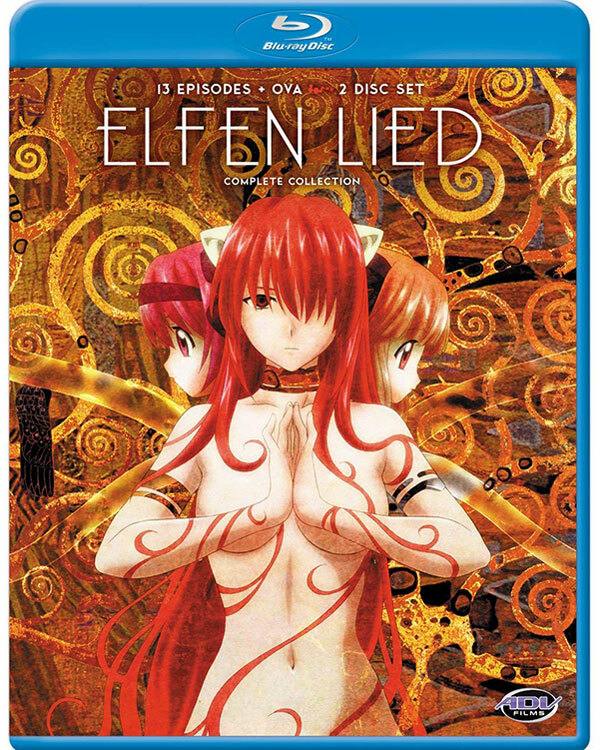 Those two foibles aside, Elfen Lied is quite beautiful and haunting. In this world there’s a breed of human with horns known as a “diclonius”. They possess powerful telekinesis and are pretty darn murderous. Lucy is one of these beings, and when she finally escapes the brutal government lab we find her in, she spares not a second before murdering every G-man in sight. However, right before she finally escapes, she takes a shot to the head that messes up her memory and psyche. When college student Kouta finds her, she’s like a innocent mute child, but every now and then the real Lucy comes out to play. I know it sounds like some sort of horror, and to an extent it is. But Elfen Lied has some pretty high drama for your enjoyment. It’s one of the best-ranked anime of any genre; you’d be remiss for skipping it – unless you have no stomach for gore, in which case I do understand. 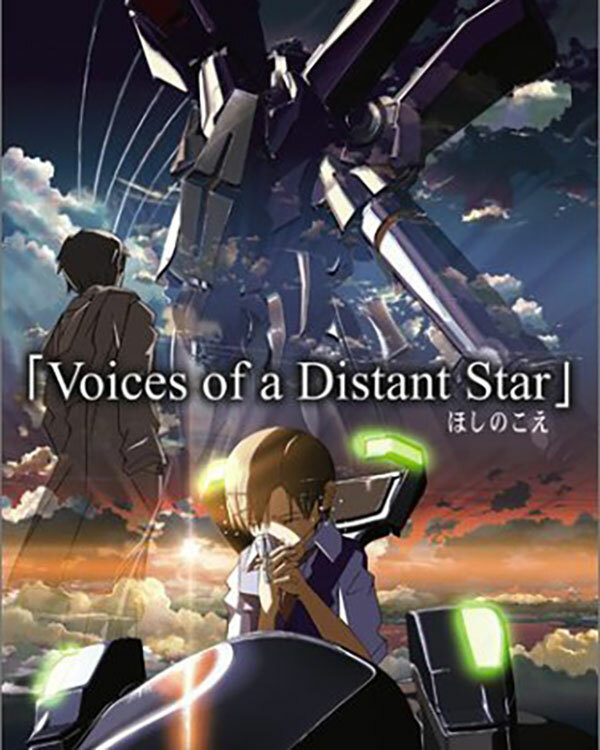 Voices of a Distant Star is very, very short. 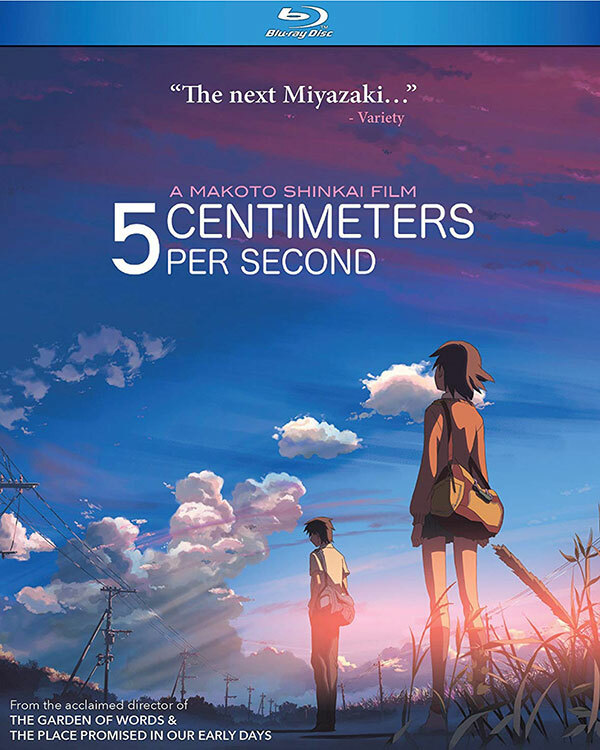 The total run of this anime is only 25 minutes, but during that time you’ll get a gut-wrenching lesson in human emotion and struggle – two high school sweethearts who are literally separated by astronomical distances. In the year 2046 we’ve found sign of alien life and they are not friendly. An expedition is sent out to fight them on their home turf and Mikako Nagamine is recruited to fight them in a mech as part of the war. As she moves away from Earth she keeps sending word to her friend Noboru about what she’s seeing and feeling. As the distance increases, the lag between messages gets longer and longer. Eventually it take years for a message to get back to Earth. Alone and confused in deep space, she only longs to see Noboru again. Voices of a Distant Star has a great central concept and is almost completely character-driven. It’s already received a mountain of praise, so I won’t add too much more. But at only 25 minutes in length there is no excuse not to watch this one. This award-winning title is a romantic drama that spans quite a few years, narratively. It starts in the 90s and then goes on until about the present day. Takaki and Akari are the best of childhood and school friends. Then Akaki has to move with her parents and the only connection they have left is the mail. As time goes by and communication technology improves, they upgrade the way to reach out to one another. Will they ever meet again? Are their lives doomed to digress more and more? Well, to answer that would be to spoil it. 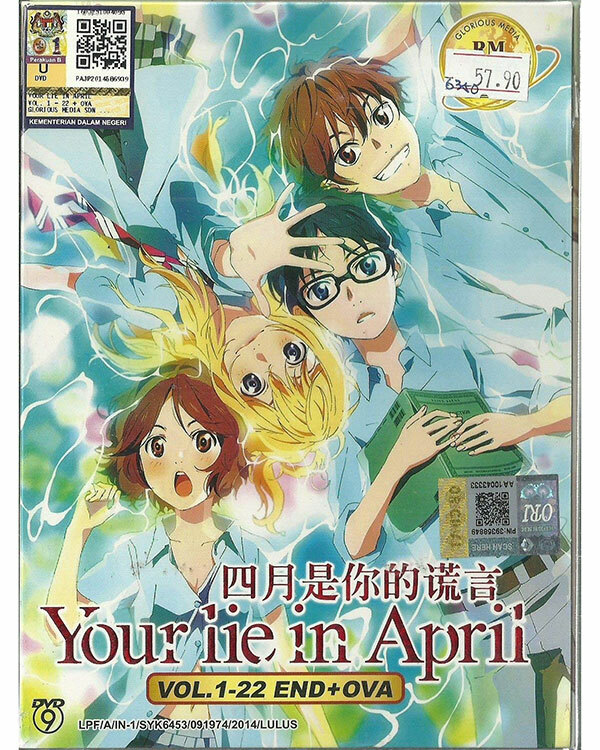 Oh boy, this anime is another corker that will go down in history as an iconic title. 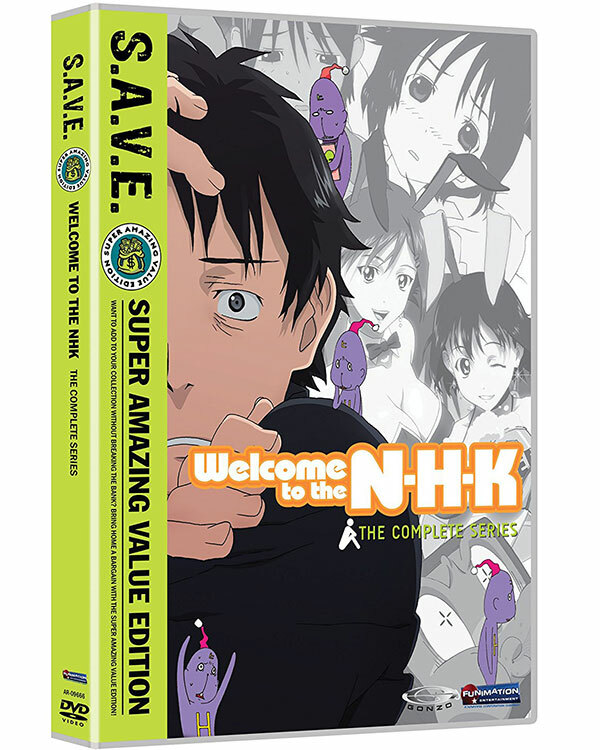 One bit of context you need immediately is that the acronym “NHK” is short for Nippon Hoso Kyokai. Japan’s equivalent of the BBC in the UK. However, our protagonist does not believe that’s what it stands for. Instead he thinks it’s actually short for Nihon Hikikomori Kyokai – The Japanese Hikikomori Association. He’s a hikikomori himself – a type of social shut-in that’s far more prevalent in Japan than elsewhere in the world. Tatsuhiro Sato thinks the NHK is actually behind a conspiracy to create shut-ins like himself. The show has a number of adult characters and deals with other fringe lifestyles as well, besides hikikomori. It also looks rather uncomfortably at mental issues such as loneliness and depression. Welcome to the NHK is bonkers because many of the characters are off their meds. Yet, they aren’t caricatures. There really are people out there who think and act this way. The novel the show is based on has been compared to Catcher in the Rye, so you know what sort of thing you’re in for. The problem with a lot of “isekai” or “other world” anime is that the protagonists are often just written as wish-fulfillment. It smacks a little of fanfiction when done really badly. Some shows such as Re:Zero subvert this trend by quickly putting the character up against some realities that are downright horrifying. However, even in that show the ultimate stake is nullified directly – the main character can’t die permanently. Fantasy shows like Game of Thrones bring the grim, gritty reality of medieval fantasy life home to the viewer. Life is short and brutal unless you’re already born into the privileged classes. Grimgar does something similar. The group of characters in the story seem to have been summoned from our world to this fantasy world, but they themselves can’t quite remember where they came from. This is a world where you have to fight for every day of survival. They must fight to eat and have a roof over their heads, but even the weakest goblin is a real threat to a novice. Death is always around the corner, and just when you think you’re starting to do well you get a knife in the heart. 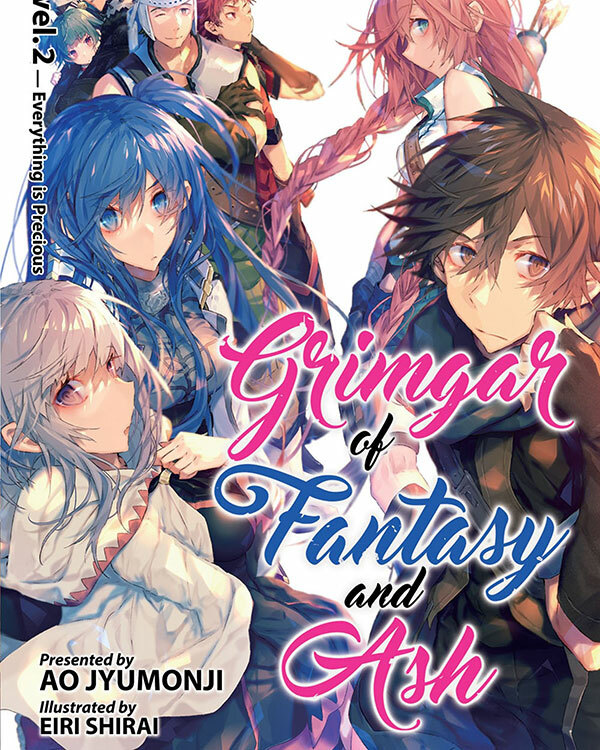 Grimgar goes for mortal realism in a world filled with powerful supernatural dangers, and it is fantastic. The last title on my list is one that you’ve probably already heard of. 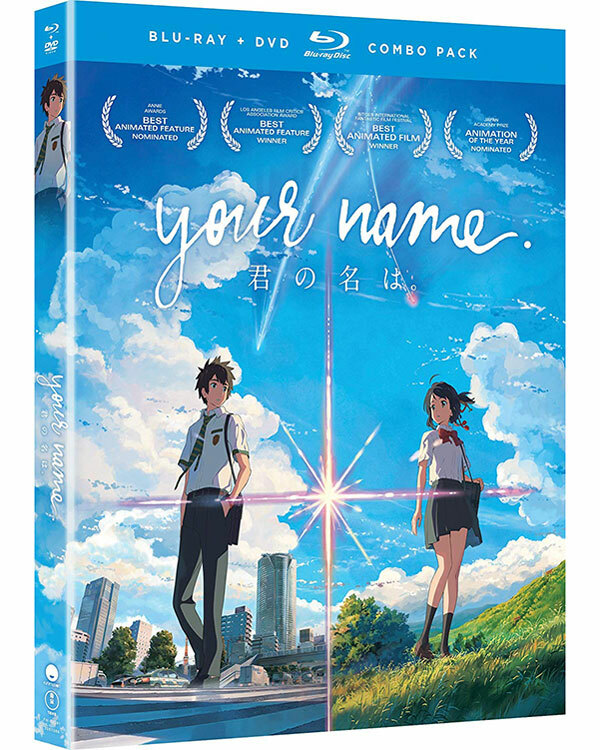 Since its release in mid-2016 it seems like you can’t go a week without someone mentioning Your Name. The film has already grossed $358 million worldwide to date. It is about a boy and a girl who, for some reason, end up swapping bodies. The boy lives in Tokyo and the girl lives in rural Japan. They communicate with each other by leaving notes or writing on their bodies. This is more than some “Freaky Friday” trashy film. The story plays with the deep implications of this sort of travel through space and time. Each person’s spirit deeply affects the life of the other. Is it possible for two people who have never actually met to get to know each other intimately? This and many other questions are answered by Your Name.